In her second collection of poems,' author, E. V. Frapiere, shares her "Truth-to-power..."
Author, Artist, Poet, E.V. 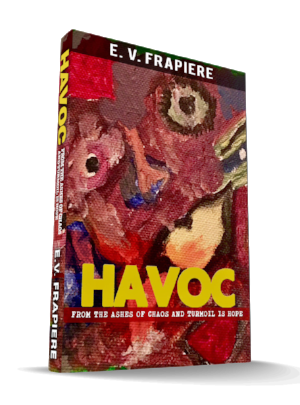 Frapiere aims to take the reader on an emotive journey through society’s past, and present trials in her new book Havoc: From the Ashes of Chaos and Turmoil is Hope. Part memoir, part poetry, the author extends a first-person historical narrative account of one of our great nation’s most insidious ideology – segregation. Ms. Frapiere offers profound insights into the plight of those who fought for educational equality and human dignity, and her testament is a timely and compelling narrative that shines a spotlight on the lasting implications for students, their families, and the nation as a whole. The author pays homage to her parents, siblings, and those who paved the path for her to continue to fight discrimination and advocate for school choice. In stark detail, Havoc aims to do more than provide a litany of historical facts. It instead focuses on the stories behind the egregious unconstitutional doctrine and speaks to the long-lasting implications of segregation. Frapiere continues to fight for school choice---decades after the initial Supreme Court ruling for Brown V. Board of Education. More importantly, she hopes to highlight how the landmark case has come full-circle in modern day society. Follow the eminent Ms. Frapiere on her journey during her formative years in her quest to make sure that "ALL" children today are primed for success. A Famous Italian Actress once said, " We are all born to die---the difference is the intensity with which we choose to live." To everyone that supported my passion for writing my first published book---many, many, thanks! I am eternally grateful for all the kind words, family love, and the camaraderie of my friends and co-workers. In fact, as I reflect back on my publishing journey, I remember the day I received my "Author" copy of the book, and I was ecstatic to say the least. 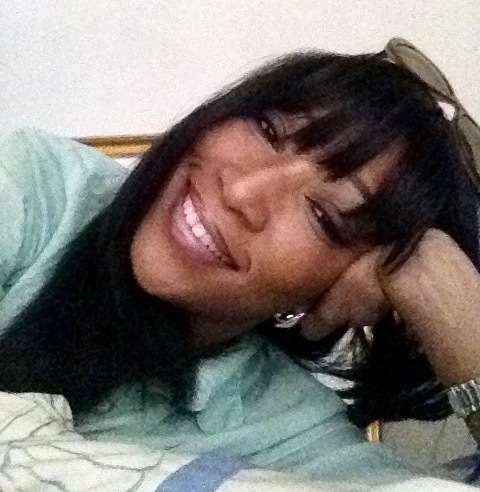 I thanked God, smiled, and then yelled loudly..."Hallelujah!!!" After all, I had spent two years writing my debut collection of poems and this was during a very sad and grieving time in my life. Nevertheless, I felf a sense of pride, joy, and sorrow. Pride and joy because many can say they are authors---but only a few can say they are "Published Authors;" the sorrow was natural because of the loss of my mother. Notwithstanding, I wished she were alive to share in the celebration of seeing her middle daughter accomplish a feat that many can only imagine, but I now know that she is with me eternally. Last, I am not dismissive of the fact that only by the grace of God have I been able to accomplish writing, publishing, and marketing my passion. Thanks be to God for providing me the daily devotion and courage to never give up on my dream. Moreover, I thank The Lord for blessing me with the ability to express (pen to paper) the spoken word. And last, but never least, I thank both my parents for teaching me in my formative years that all things are possible through faith! To commemorate "Fat Tuesday" and my adoration for N'awlins...I wrote a poem to describe and showcase my affinity for the crescent city. Enjoy---and Laissez le bon temps rouler! I am so excited to have had the opportunity to interview with freelance writer, editor, and Washington, DC journalist---Deborah Kalb. 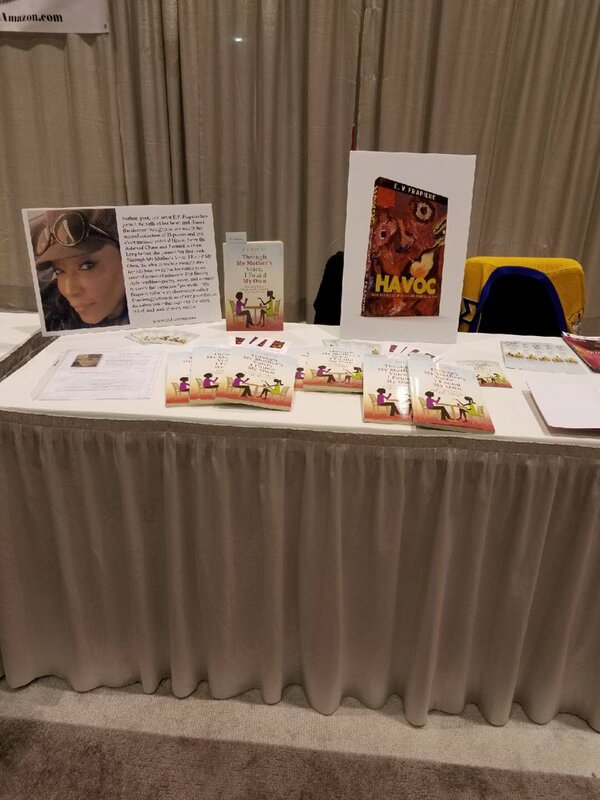 Deborah's popular and well-known 'BLOG' (Q&A with Deborah Kalb) was not only an honor----but I feel extremely blessed to have been able to speak from the heart and share my admiration for family, love, and the power of FAITH! Check out the book interview! What has happened to MLK's Dream? Today, we celebrate the late civil rights leader, Dr. Martin Luther King Jr. birthday. In honor of the slain leader, I thought it appropriate to write 'a Poem-oir' (in an honest, but forthcoming tone) in his honor. Downton Abbey: Episode 1 "Review"
In the words of the Dowager Countess, "Wisdom is an adversary that seldom graces the virtues of hypocrisy." Okay, yes, I made up that quote, but I can only blame it on my adoration for the Dowager Countess and the entire cast of Downton Abbey. That said, the matriarch of the aristocratic family and the entire cast of Downton Abbey--did not disappoint in its first (season 6) episode! Both upstairs and downstairs, I'm ecstatic to see how Mr. Fellowes unveils the complicated lives of the characters that we have come to adore over past seasons. In fact, I'm sure as the storylines progress--in true 'Lady Mary' fashion, things are sure to get "Yummy!"